For gardeners, growing a great tomato is the ultimate trophy. Tomatoes are easy enough to grow, but a real triumph when you grow them well. Who hasn't sought out one more tip for growing the perfect, aromatic, unblemished, sun-ripened tomato? Fresh tomatoes mean summer - sunshine, easy living and delectable food. Getting the perfect tomato for yourself is half the conquest. Now, how do you prepare this prized tomato to showcase its mouth-watering goodness? With the best tomato recipes, of course. Here's some handy information on everything from choosing the right seed to keeping your plants healthy and productive, to preserving the fruits of your efforts, including easy tomato recipes for turning your ambrosial tomatoes into the best tomato sauce, pie and even drinks. The first ripe tomato of summer is a gardeners badge of honor. Get your tomato plants off to a good start, and they'll reward you all season long. It all starts with choosing the perfect variety, the right seed, and a little TLC at planting time. Here's how to grow your best tomato ever. Don't think you have the space to grow tomatoes? Nonsense. It doesn't take much to find a spot that will please both you and your tomatoes, whether it's in a pot on the patio or dangling from the railing. There's always room for tomatoes. If you plant it, they will come. We're not the only ones who love tomatoes. There are plenty of pests and diseases lurking in the garden, waiting to foil your best efforts. Don't let them. The solution to tomato problems is being prepared. 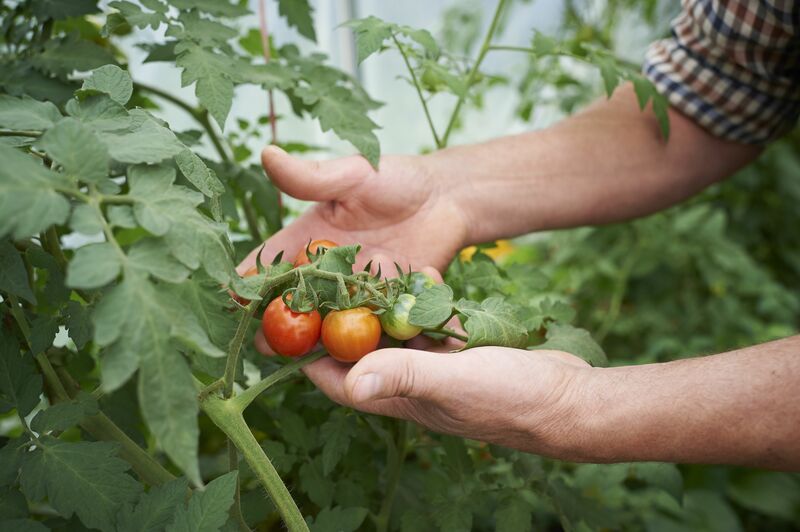 Looking for ways to go beyond the beefsteak and expand your tomato garden? Become the tomato growing master with just a little extra effort and planning. Get the healthiest plants, the best flavors, and the most compliments. Abbondanza! You did it! You grew your best tomatoes ever, and now you need to get them into the house and save some seed to start it all over again next year. Tomato seeds need a little extra effort, beyond letting them dry out. But don't worry, the hard part is over. Harvesting and saving seed are the pay-off. You don't have to grow your own tomatoes to experience tomatoes at their best. You just have to know how to chose them. Get out there while local tomatoes are in season and start squeezing and sniffing. Fresh and sun-warmed or enhancing the most sophisticated French meal, it's tomato eating season. Wondering what to do with all those heavenly tomatoes? Here's a sampling of our Guides best recipes, from Ketchup to Cassoulet. Don't let those tomatoes go to waste. Summer's almost over and your tomatoes still haven't ripened. It happens. Luckily there are ways to coax your green tomatoes to blush. And, when all else fails, there are plenty of green tomato recipes to save you. Think you know everything there is to know about tomatoes? Here are some tomato tidbits to make you appear erudite and tomato savvy at your next tomato festival.